Often, these people don't even have cats or babies. They don't NEED all that stuff, but the fact that they basically got it for free makes for thrilling TV. It also probably makes you wish you could recreate some of that magic for yourself, if only you had the space to make a warehouse in your basement. Good news! The reality is that anyone can learn to use coupons. Do you want 30 bags of cat food? Probably not, especially if you don’t have a cat. But couponing isn't just about leaving the store with a bunch of random free stuff. 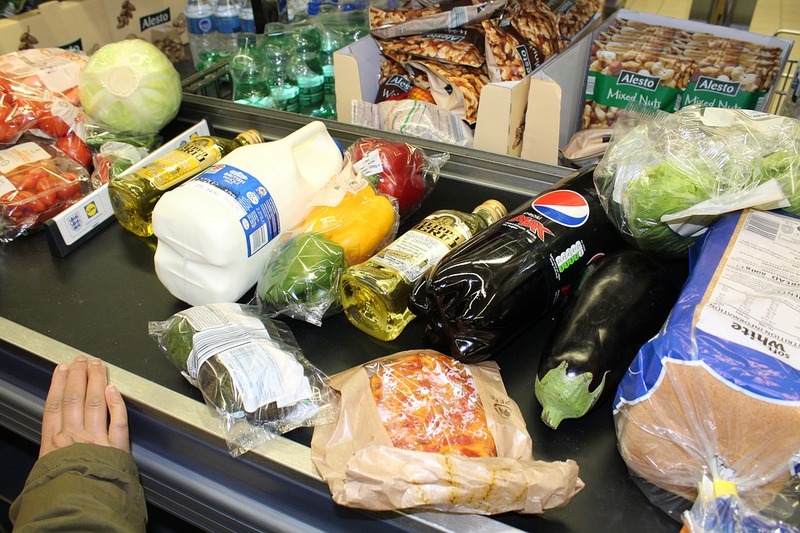 If you do it right, you can easily cut your monthly grocery bill in half. If you've been wondering how to get started with coupons, this quick-start guide is for you. Before you jump in feet first, decide on a goal. What do you want to accomplish? Do you want to save money at the grocery store? Do you want to stock your pantry? Do you want to go out and do some good in the world? Whether you want to reduce your grocery budget or you want to make care packages for the homeless, you have to start with a plan. Couponing doesn't have to be complicated. Of course, a handheld calculator might also come in handy, and if you end up falling in love with couponing, it makes sense to invest in some organizational tools, like a coupon binder or a filing cabinet for organizing your coupon collection. But when you're just starting off, stick with the basics. Couponing can take up as much or as little time as you want it to. It can be a casual pastime or an extreme hobby. The important thing to know is that YOU control how much time you want to invest in it. To get a running start, plan on spending a couple hours a week on Sundays when the newspaper comes out. Plan to buy one copy of the paper for every member of your family -- so a family of four should buy four copies. Then you start the real work: planning your shopping trip. 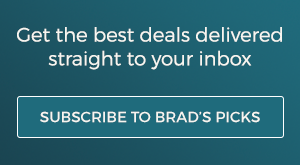 One of our home editors here at Brad’s Deals dedicated up to 30 hours a week to coupon cutting, strategizing, and shopping while going to school full-time, but you don’t have to be as coupon-crazy as her. You can start small, and invest just a couple hours per week. There are no rules. After all, time is money. You have to decide how much time is worth how much savings, and stick to your plan. 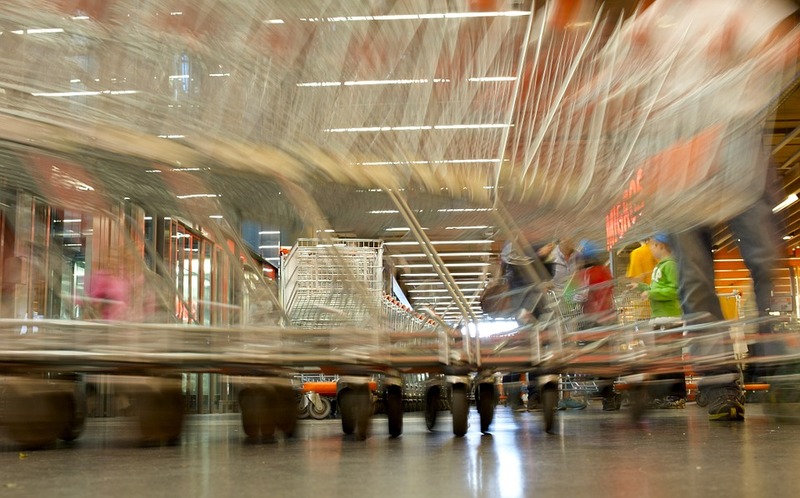 Make a conservative goal for your first shopping trips. When you can consistently reach those goals, adjust your time investment to match new goals. You can do this! How do people find so many coupons? Get multiple copies of the Sunday paper. If you don’t already subscribe to your local newspapers, sign up for a Sunday-only subscription for each member of your family. Also keep in mind that Wednesday’s paper has the weekly sales flyers in it. You can grab a Wednesday paper at a convenience store, or use Flipp to browse through your local ads. Enlist your friends and family. Try to develop a list of five or more friends, neighbors, or family members who you see on a regular basis to start gathering or saving coupons for you. Most people throw them away, so if you see them often it shouldn't be hard for them to save theirs for you. If they're doing it consistently, make sure to be friendly and thankful, and maybe even pass some of your savings on to them with the occasional jar of salsa, bottle of shampoo, or 20-pound bag of kitty litter. Get to know the people who work at your favorite stores. If you shop frequently enough that you've become friendly with the employees at your local market, it never hurts to ask what they do with the coupon inserts out of the Sunday papers. Often, they are thrown away, and if you’re an always-friendly and cheerful customer, they might just let you have them. However, someone else might already be collecting the inserts. If that’s the case, you can let store management know that you’re interested in being next in line if and when they become available. It might be a good idea to check in with them every six months, but no more often than that. Hunt for manufacturer coupons at your local stores. Blinkie coupons can be found in the store aisles. Customers can pull them from plastic boxes that have blinking lights on them. Tear pad coupons are similar to blinkies, as they are also found in the aisles, but they do not have the blinking lights. They are pads of coupons fixed to the store shelf. You can tear off as many as you think you will need or can use. Peelies are coupons that you can peel off of of product packaging and use immediately (or keep for later). Often, these will offer discounts that are applied when you purchase combinations of products, so pay attention to the requirements. Coupon booklets are often available near the front of stores, especially right before and during holidays. Pick up one of these for each member of your family. Catalina Coupons are coupons that print out at the register when you check out. You'll often see coupons for amounts off future purchases. They can be combined with other coupons, and there are many strategies for using these to achieve maximum savings. Look for printable online coupons. If you have access to a printer, you can find coupons on manufacturer and grocery store chain websites. You can also follow your favorite brands' social media accounts, as they will sometimes run promotions or reward their followers with printable coupons. Bear in mind that you may be required to install software on your computer in order to print these coupons. The software allows them to track the amount of coupons you can print. Usually, each person can print up to two of each coupon. If you want to have multiple people print two of the same coupon, you will need to use different web browsers or even possibly different computers in order to accomplish this. Most of these coupons are manufacturer’s coupons, so they qualify for doubling if your store doubles coupons. These coupons vary and reset each month, but if the same coupon pops up again when it resets, you can print it again. Use your store's loyalty card program. 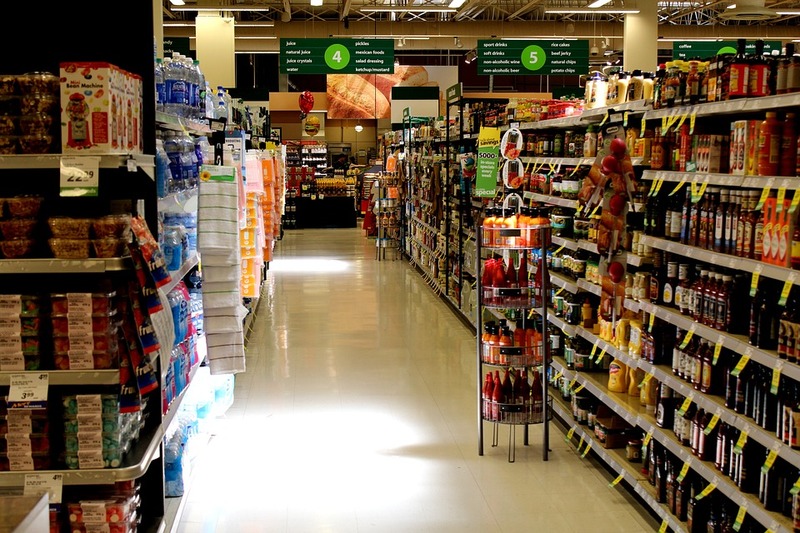 Many grocery stores and discount stores have loyalty programs. Signing up is usually free, and allows the customer to receive special store discounts. 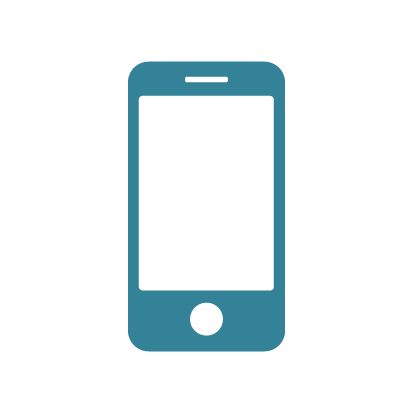 Most loyalty cards have key tags you can hang off of your keychain, and some grocery stores have apps in which you can create shopping lists and load e-coupons that will automatically be applied when you check out and scan your card. Note that these coupons are often duplicates of the ones you might find on our site and other printable coupon sites. Sometimes, adding an e-coupon is a way for you to be allowed a third multiple of that coupon, but you have to check your store's policy to make sure. Loyalty cards enable you to pay the "price with card," which you'll see posted in store flyers and on shelf: "$1.99 (with card)." If you do not have the loyalty card, you have to pay the regular price. Target has a loyalty app called Cartwheel, which operates much the same way. You can load up to ten of their available coupons in the Cartwheel app, and use it at checkout to get discounts. Walmart also has a loyalty app for Android and iOS which alerts users on weekly sales, compares prices with other retailers in your area, and even gives you gift cards back when the Walmart price is higher. Sip and clip with your friends. 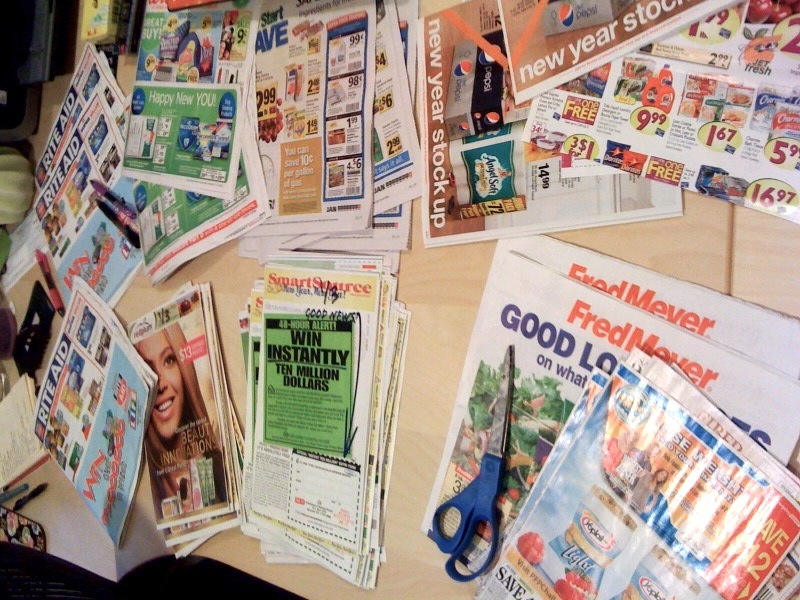 If you know other people who are interested in couponing, you can get together to sip and clip, and you can trade coupons that you might not use for ones that you will. In this way, you can support each other and share strategies. 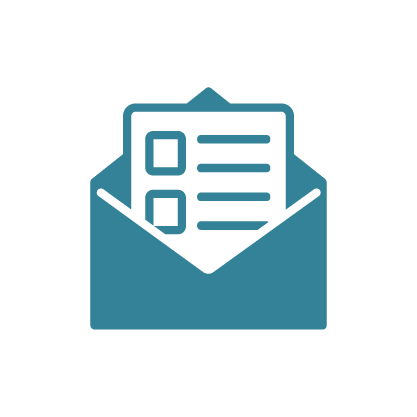 Set up a weekly or monthly get-together to swap and socialize while you compare strategies. You can even agree to shop together and help each other max out the potential savings. If you get really into it, you can pay coupon clippers on eBay. Another method I have tried in the past is paying people to clip certain coupons for me on eBay. When you find a coupon for an item you buy often, and it has an expiration date far enough in the future to coincide with the next sale cycle for it, you can look on eBay for multiples. What you’re actually paying for is the time it takes that clipper to cut those coupons out of the flyers, but this is a great, cost-effective way to get 10 or 20 of the same coupon for items you know you want to stock up on. You can also go dumpster diving, if that's your thing. This can get pretty gross, so you’ll have to decide if it’s worth it. One of our Brad’s Deals editors has done this, but her experience was at a recycle bin. It still has you going through Monday’s trash hoping to find a treasure trove of coupon bliss. OK, so how exactly do I do this? 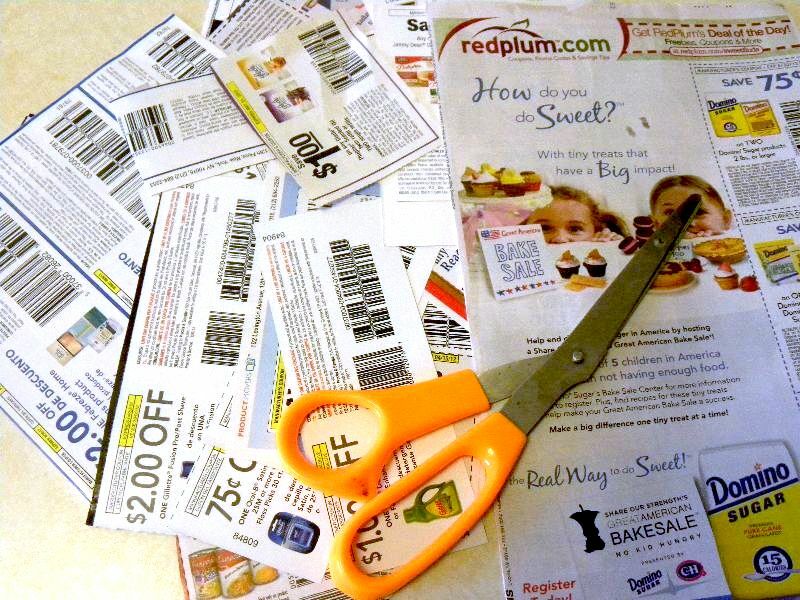 This is the basic, simple method of couponing. Find a coupon for something that you want to buy, and use the coupon when you check out. But with some simple strategies, you can save much more. Browse your weekly store sale flyers, and match up the coupons that you have with sales that are currently going on. For example, if I have a coupon for $0.35 off two Fiber One Products, which go on sale -- four for $5 -- every few months at my local Kroger, I can combine the coupon with the sale and get four boxes of Fiber One cheesecake bars (normally $2.25/each) for $4.65 instead of $5. If I have two of these coupons, that drops my four boxes down to $4.30. If I shop when my coupons can be doubled, those same two coupons would drop my four boxes down to $3.60, or $0.90 per box! If I'd stuck with the "simple" couponing method I mentioned above, I could only save $0.35 off of ONE box. Instead, I can get four boxes for less than I would have paid for the regular price of two. Once you get familiar with coupon match-ups, you can start strategizing how to stack up multiple types of coupons. When you check out at some stores, coupons print out with your receipt. Some of these come from a Catalina printer, and some are tear-offs at the bottom of your receipts. At Dollar General, for example, I often find I get as much as $5 off a future purchase of $25 or more. If you can combine one of these coupons with a manufacturer’s coupon and a store sale, you just became an extreme couponer! 4. Now stack as many as possible! Sometimes, you will be able to stack enough coupons with a sale that it actually produces an overage, and you will save more than what you spend. I always use that credit toward meat or produce that rarely can be matched up with a coupon. Don’t be frustrated if you don’t walk away with $600 worth of stuff for $11 on your first trip. Because things like meat and produce rarely go on sale, if you're buying your everyday groceries while couponing, you're not going to make out like those TV couponers. Next time you watch those shows, take a look at what's in their carts. They’re not buying a lot of fresh stuff. They’re limiting their shopping lists to what’s ON SALE, which is why they're able to get those kinds of savings. Make rules for yourself and stick to them. Try strategies, and if those don’t work, try something else. This guide can help you get started, but there are lots of ways to combine apps and coupons and rebates to get the best deals on the brands and products you love. Get creative! Sales happen in cycles. Use that to your advantage. A 12-week cycle is standard for anything from soup to frozen pizza to bread. There are lots of resources online that will let you know what the sale cycles might be near you. Get to know the people at your stores. Sometimes they’ll tell you what's going to be on sale before it is. 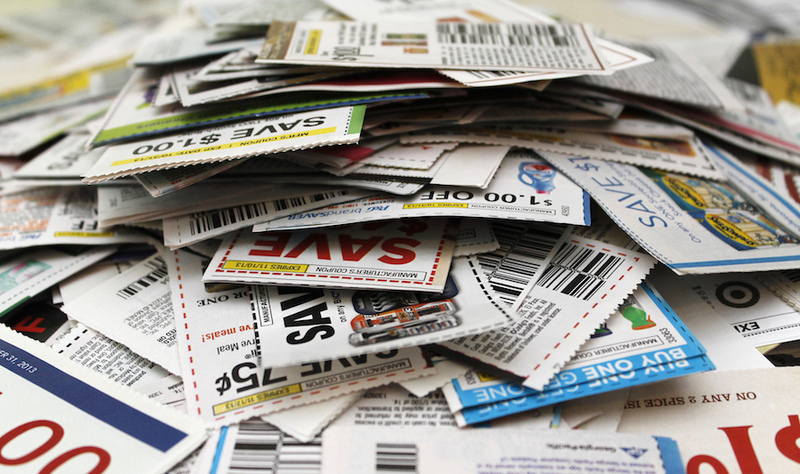 Don’t get coupon-crazy and waste time clipping coupons that offer discounts on products you will not use. If you don’t have a baby, don’t buy diapers. If you don’t have a cat, don’t be tempted to buy the cat food. Unless these coupons offer you a chance for a big overage, don’t waste your time. The most important rule of all is to have fun! What are some of your couponing strategies? Let us know in the comments!